Shortbread cookies must be among the simplest cookies to make, especially if you use a food processor. One interesting facts is they have no added flavourings. All that goes into the dough is flour, sugar and butter, and sometimes cornstarch. I like the cornstarch because it makes a slightly lighter cookie. 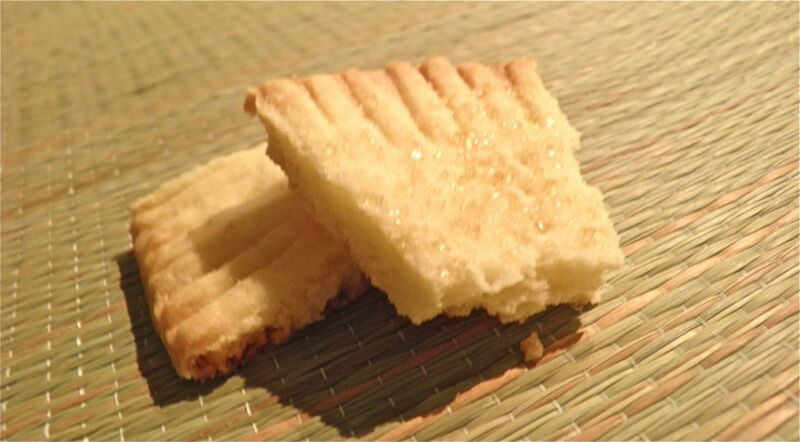 All the flavour of homemade shortbread is carried by the butter. So choose it wisely. Butter today isn’t the same as that used decades ago. Back then butter had real flavour. The butter we commonly purchase today is only one of the types of butter that are available worldwide. Almost all North American butter is made from cow’s milk, but butter can be made from sheep, goat and even buffalo – each with a unique flavour. North American manufacturers make their butter from cream separated from pasteurized cow’s milk. So what’s the trade-off? Flavour. Often when people made their own butter they had to save cream from their milking for several days. Over this time the collected cream would start to naturally ferment. During fermentation, the cream naturally sours as bacteria converts milk sugar into lactic acid. The fermentation process produces aromatic compounds, including diacetyl, which makes a more highly flavoured butter. You can still purchase cultured butter today, but because of health standards around milk it is made slightly differently. Pasteurized cream has fermentation introduced by Lactococcus and Leuconostoc bacteria. When you go to the Superstore you will see PC brand Black Label Normandy-Style Cultured Butter. 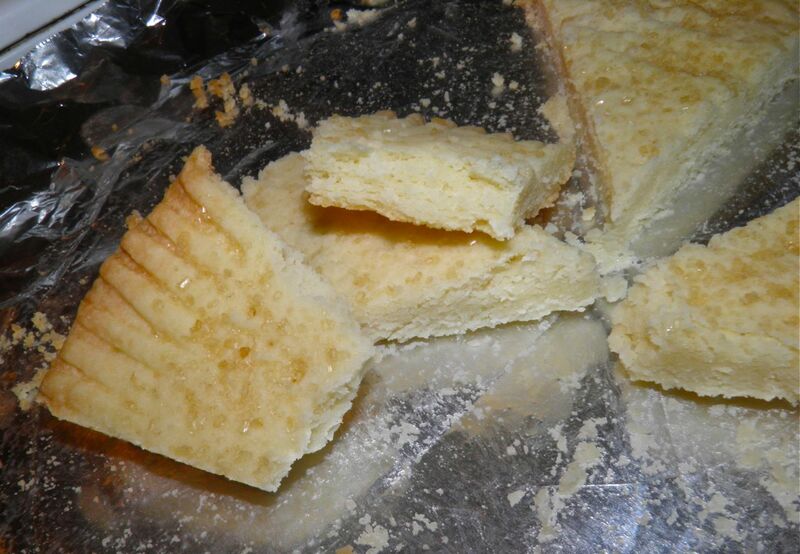 This is butter that has been made by introducing active culture into the cream. It’s about the closest available at the supermarket to old-fashioned butter. If you’re lucky enough to find butter at a local farmers market I’m sure that will be more flavourful than regular manufactured butter, too. And you would be supporting loal business. You can make shortbread as a wonderful gift by baking a few and stacking them in an 8" decorative tin. Separate with waxed paper rounds or decorative paper doilies. Just make sure you make them slightly smaller than the size of the tin – or they won't fit! Place the flour, cornstarch and sugar in a food processor. Pulse until combined. Add the butter while the motor is running until the mixture comes together. 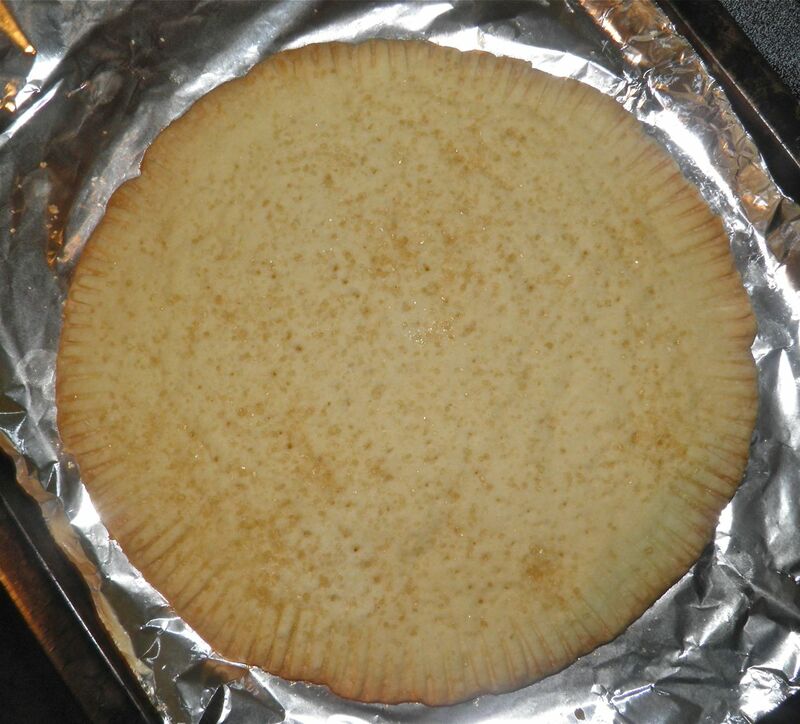 Draw an 8” circle on a piece of foil on a baking sheet. 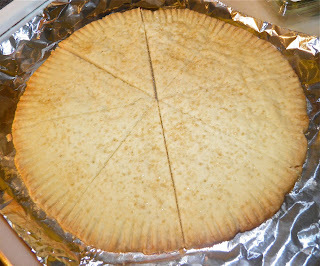 Gather the dough and press out to the shape of the circle. make as round as possible. Sprinkle the top generously with Demerara sugar. Bake for 25-30 minutes or until firm and golden. Let cool slightly, but cut into wedges while still slightly warm. Cool completely (overnight) before serving. * The cornstarch makes a lighter cookie. If you prefer heavier, substitute flour for the cornstarch.